The install at Mt Vernon High School features Sporturf’s premier product; PowerHouse. 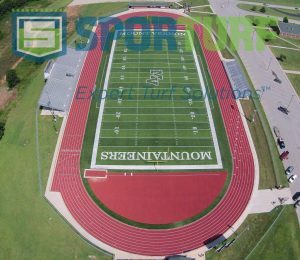 Sporturf dealer Craig Shonk of Midwest Synthetic Turf Professionals completed the install. Shonk started Midwest Synthetic Turf Professionals LLC as a way to pair together ISO 9001 synthetic turf manufacturing with an ASBA Certified Field Builder for synthetic turf fields to better serve clients throughout the Midwest. Mt. Vernon’s Class AAA school system includes four schools – an elementary, intermediate, middle and high school. Two state colleges, as well as several private colleges are within 40 miles.